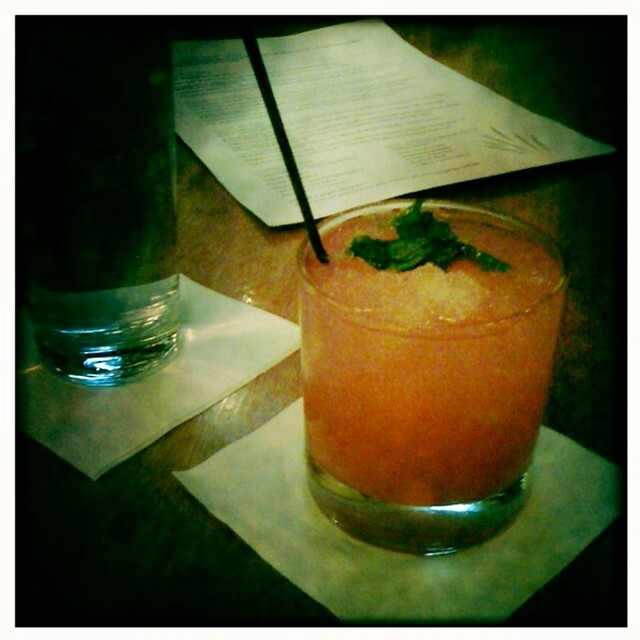 Watermelon Mojito, Sweet Grass, Memphis, Tenn. It may be pink, but the watermelon mojito from Sweet Grass is anything but girly. It’s summer cocktail perfection, seriously potent, but entirely refreshing. The watermelon adds some delicate flavor and just the right amount of sweetness to the rum. It’s served in a glass over a hill of crushed ice and garnished with a few loose mint leaves. I just want to take it all in Graceland, Beal Street and Sweet Grass too!! Can’t wait! !